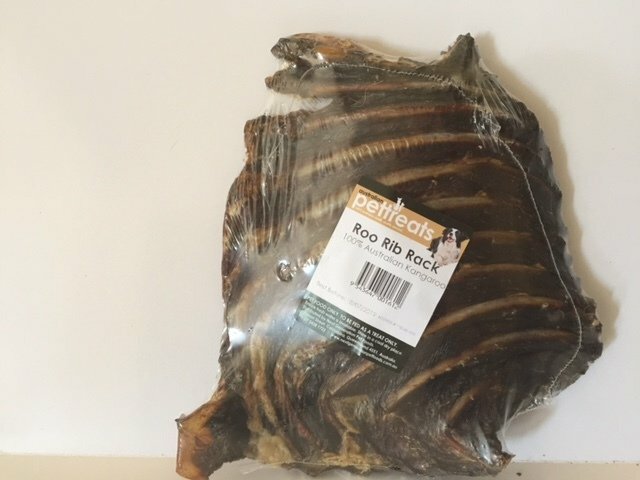 Kangaroo Rib Racks are an all natural lean protein treat. These racks have been slowly dehydrated not cooked so they are crunchy when chewed which assists in the maintenance of good dental hygiene and plaque removal. This product has no artificial colours flavours or preservatives.